Coltesti Castle Ruins and Sic Calvinist Reformed Church are good opportunities to explore the local culture. Visit St. Michael's Church and Reformed Church of Cluj-Napoca for their historical value. Get out of town with these interesting Cluj-Napoca side-trips: Baile Figa (in Beclean), Muzeul de Istorie Turda (in Turda) and Ramet Gorge (in Baia de Aries). There's lots more to do: identify plant and animal life at Cheile Turzii - Turda Gorge, explore the world behind art at Museum of Art, take in the awesome beauty at Muntele Mare, and pause for some photo ops at Carolina Obelisk. To find ratings, more things to do, where to stay, and tourist information, read our Cluj-Napoca trip itinerary planner. Bogota, Colombia to Cluj-Napoca is an approximately 18.5-hour flight. The time zone difference when traveling from Bogota to Cluj-Napoca is 7 hours. Traveling from Bogota in January, things will get colder in Cluj-Napoca: highs are around 1°C and lows about -6°C. Wrap up your sightseeing on the 7th (Mon) early enough to travel to Iasi. Iași is the largest city in eastern Romania and the seat of Iași County. Museum-lovers will appreciate Muzeul Universitatii Alexandru Ioan Cuza and Municipal Museum Iasi. Get a sense of the local culture at Iasi Historical Town and Probota Monastery. The adventure continues: contemplate in the serene atmosphere at St. Sabbas the Sanctified, step into the grandiose world of Palace of Culture, take an in-depth tour of Casa Dosoftei, and admire the striking features of Metropolitan Cathedral. To see photos, ratings, traveler tips, and other tourist information, read our Iasi trip app . You can fly from Cluj-Napoca to Iasi in 1.5 hours. Other options are to drive; or take a bus. Expect a daytime high around 0°C in January, and nighttime lows around -7°C. Finish your sightseeing early on the 13th (Sun) to allow enough time to travel to Constanta. Do some cultural sightseeing at Catedrala Sfinții Apostoli Petru și Pavel and Manastirea SF. Elena de la Mare. Get some historical perspective at Greek Church "Transfiguration" (Metamorphosis) and Saint Andrew's Cave Monastery. Explore Constanta's surroundings by going to Muzeul de Arheologie Callatis (in Mangalia), Ograda Veseliei (in Arsa) and Plaja de Carte (in Vama Veche). There's still lots to do: explore the striking landscape at Dobrogea Gorges Reserve, kick back and relax at Oha Beach, stroll through Doors Beach, and take an in-depth tour of Museum of National History and Archeology. For more things to do, where to stay, ratings, and tourist information, go to the Constanta trip itinerary builder site . You can do a combination of flight and train from Iasi to Constanta in 5 hours. Alternatively, you can drive; or take a train. In January in Constanta, expect temperatures between 0°C during the day and -5°C at night. Finish up your sightseeing early on the 20th (Sun) so you can go by car to Tulcea. Tulcea is a city in Dobrogea, Romania. Get some historical perspective at Cocoș Romanian Orthodox Monastery and Enisala Medieval Fortress. Do some cultural sightseeing at Muzeul de Etnografie Si Arta Populara - Tulcea / Ethnographic and Folk Art Museum - Tulcea and Celic Dere Monastery. Explore the numerous day-trip ideas around Tulcea: Cathedral of Galati (in Galati), Caraorman Forest (in Crisan) and Braila (Traian`s Monument, The Public Clock, & more). And it doesn't end there: make a trip to Danube Delta Biosphere Reserve, see the interesting displays at The Danube Delta Museum, contemplate in the serene atmosphere at Saon Monastery, and pause for some photo ops at Monumentul Independentei. To see reviews, more things to do, other places to visit, and other tourist information, read our Tulcea vacation planner . You can drive from Constanta to Tulcea in 2 hours. Other options are to take a bus; or take a train. In January, plan for daily highs up to 3°C, and evening lows to -5°C. Finish up your sightseeing early on the 24th (Thu) so you can go by car to Bucharest. Peasant Museum (Muzeul Taranului Roman) and The National Museum of Art of Romania will appeal to museum buffs. Do some cultural sightseeing at Old Town and Mogosoaia Palace. Explore the numerous day-trip ideas around Bucharest: Therme București (in Balotesti), Tiriac Collection (in Otopeni) and Neagra Bison Reservation (in Bucsani). And it doesn't end there: wander the streets of Lipscani, admire the landmark architecture of Muzeul National al Satului "Dimitrie Gusti", delve into the distant past at Dacian Fortresses of the Orastie Mountains, and get engrossed in the history at Museum of History of the Jewish Community. To see traveler tips, photos, and more tourist information, read Bucharest online trip itinerary builder . Traveling by car from Tulcea to Bucharest takes 3.5 hours. Alternatively, you can take a bus; or take a train. In January, daytime highs in Bucharest are 1°C, while nighttime lows are -7°C. Wrap up your sightseeing on the 1st (Fri) to allow time to travel to Ploiesti. Ploiești is the county seat of Prahova County and lies in the historical region of Wallachia in Romania. Start off your visit on the 2nd (Sat): do a tasting at LacertA Winery, do a tasting at Serve Winery, then examine the collection at Bellu Manor, then see the interesting displays at The Clock Museum, and finally take in the spiritual surroundings of Marea Sinagoga. Keep things going the next day: take in the architecture and atmosphere at Manastirea Dealu, admire the landmark architecture of Curtea Domneasca (Corte Principesca), then explore the ancient world of Chindiei Tower (Sunset Tower), then take in the spiritual surroundings of Princely Church, and finally contemplate in the serene atmosphere at Cathedral of Ploiesti. For other places to visit, maps, and more tourist information, use the Ploiesti itinerary planning tool . You can drive from Bucharest to Ploiesti in 1.5 hours. In February, plan for daily highs up to 6°C, and evening lows to -3°C. Cap off your sightseeing on the 3rd (Sun) early enough to travel to Brasov. Let the collections at Bran Castle (Dracula's Castle) and Rope Street Museum capture your imagination. Satisfy your inner culture vulture at Peles Castle and Brasov Historical Center. Change things up with these side-trips from Brasov: La Prapastii Zarnesti (in Zarnesti), Busteni (Crucea Caraiman & Cascada Urlatoarele) and Sinaia (George Enescu Memorial House, Pelisor Castle, & more). The adventure continues: learn about winemaking at Pensiunea Rhein, contemplate in the serene atmosphere at Black Church (Biserica Neagra), take in the awesome beauty at Bunloc, and get your game on at Quad Team Building. To find other places to visit, reviews, maps, and tourist information, use the Brasov trip planner . You can drive from Ploiesti to Brasov in 2 hours. Finish your sightseeing early on the 11th (Mon) so you can drive to Sighisoara. 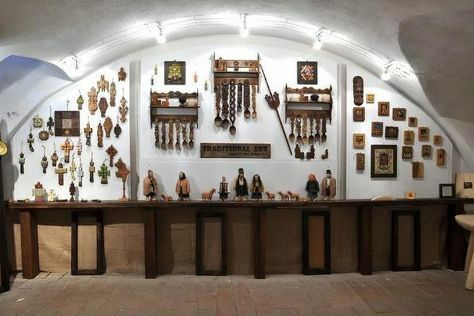 Sighisoara Historic Center and Petry Museum and Workshop are good opportunities to explore the local culture. Art & Crafts and The Spoonman will appeal to museum buffs. You'll find plenty of places to visit near Sighisoara: Teleki Castle (in Gornesti), Darjiu Fortified Church (in Darjiu) and Ivo Wildlife Park (in Izvoare). There's lots more to do: brush up on your knowledge of spirits at Pivnita lui Teo - Teo's Cellar, look for all kinds of wild species at Breite Ancient Oak Tree Reserve, pause for some serene contemplation at Fortified Church, and don't miss a visit to Bethlen Castle. For photos, reviews, maps, and more tourist information, use the Sighisoara trip planner. You can drive from Brasov to Sighisoara in 2 hours. Other options are to take a bus; or take a train. In February, plan for daily highs up to 7°C, and evening lows to -5°C. 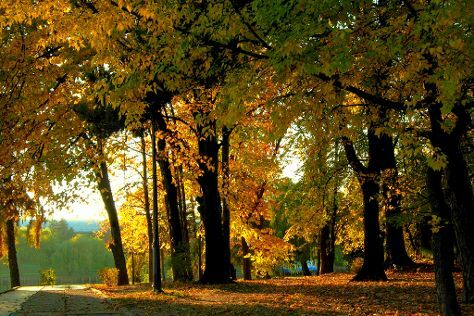 Cap off your sightseeing on the 16th (Sat) early enough to travel to Ramnicu Valcea. Râmnicu Vâlcea is the capital city of Vâlcea County, Romania .Geography and climateRâmnicu Vâlcea is situated in the central-south area of Romania. Your inner history buff will appreciate Cetatea Poienari and Biserica Sfanta Vineri. Let the collections at Muzeul Viticulturii si Pomiculturii Golesti and Anton Pann Memorial House capture your imagination. Venture out of the city with trips to Trovanti Museum Natural Reserve (in Costesti), Dragasani (Avincis - Vila Dobrusa Vineyard & Agricola Stirbey) and Biserica Horezu (in Horezu). And it doesn't end there: see the interesting displays at Village Museum of Valcea County, get engrossed in the history at Complexul Muzeal Maldaresti, enjoy some diversion at Centrul Sportiv Ceramus, and contemplate in the serene atmosphere at Monastero di Cozia. For where to stay, photos, ratings, and other tourist information, read our Ramnicu Valcea trip itinerary planning app . Drive from Sighisoara to Ramnicu Valcea in 3.5 hours. In February in Ramnicu Valcea, expect temperatures between 7°C during the day and -4°C at night. Finish your sightseeing early on the 21st (Thu) so you can travel to Sibiu. You'll explore and learn at Brukenthal National Museum and National Museum of Union. Deepen your sense of the past at sights like Old Town and Traseul Celor Trei Fortificatii. You'll find plenty of places to visit near Sibiu: Alba Iulia (Citadel of Alba Iulia, Catedrala Reintregirii Neamului (Coronation Cathedral), & more), Biserica Sfanta Treime (in Sibiel) and Fortress Câlnic (in Calnic). There's lots more to do: take in the dramatic natural features at Rapa Rosie, take in the architecture and atmosphere at Biserica Sfântul Sevastius, explore the activities along Ocna Sibiului Salt Mine, and admire the landmark architecture of Biserica fortificata din Cristian. Take the guesswork out of planning a Sibiu vacation by using our trip itinerary maker. You can drive from Ramnicu Valcea to Sibiu in 2 hours. In February in Sibiu, expect temperatures between 7°C during the day and -4°C at night. On the 28th (Thu), you'll have the morning to explore before heading back home.